Just a week ago, we reported launch of Fly F45s Dual Core Smartphone by the Europe based company “Fly Mobiles” and now company has sloped down it’s three new element in the gadgets industry worldwide in which two are Smartphones namely, “Fly F51 and Fly F40” and the other element finds it’s place in the tablet segment named, “Fly F8s”. With a basket full of launches company has announced it’s strong entry in the gadgets industry. Picking the first one up in the line up and specifying it’s details, Fly F40 flaunts 4.0 inch of Capacitive Touch Screen display with 320 x 240 of pixels resolutions, the display size is nice and decent however with a very low resolution as compared to current trends . Dealing with its Platform dependency, this device sails on Android 2.3 Gingerbread Operating System powered with a Single Core Processor clocked at 1.0 GHz. Briefing its Storage Specifications, it lacks 3G as it’s a entry level Android Smartphone however it includes the usual connectivity options which we see in any mid range tagged Smartphone, it is well equipped with 256MB of RAM, 190MB of Internal memory which can be easily expanded up to 32 GB via micro SD card slot. Enumerating the device Connectivity supports, this device supports 2G (EDGE), Bluetooth, Wi-Fi 802.11 b/g, micro USB. It also supports Dual Sim with Dual Standby technology (GSM + GSM). In terms of Photography Specifications, on the back this device houses a primary camera rated at 3.2 MEGAPIXEL of primary camera and a secondary camera rated at 0.3 MEGAPIXEL for video calling. To make the life going on for this handset, it is equipped 1400 mAh battery. The Price of Fly F40 is Rs 4,500. Picking the second one in the line up, an upper level variant Fly F51 which sports 5inch of Capacitive Touch Screen display with 480 x 800 of pixels resolution. It runs on the Ice Cream Sandwich operating system powered with a Dual Core processor clocked at 1GHz. It also support Dual Sim with Dual Standby technology. This device is quite leaner and measures 11.5 mm in overall thickness. Enumerating it’s Image Optics, it is offered with both the primary and secondary camera options, on it’s back a 5MEGAPIXEL rated camera with dual LED flash has been installed. The Dual LED flash will which help the user to capture some beautiful pics even in the low vision. A 2MEGAPIXEL of secondary camera is there for video chatting which is now quite popular among youth for video chat and VOIP calls. Briefing it’s Storage it is equipped with 512MB of RAM, 149 MB of internal memory which can be easily expanded up to 16GB via microSD card slot. In terms of connectivity, 2G (EDGE), Bluetooth 3.0, Wi-Fi 802.11 b/g, micro USB it also lacks 3G support which can be the biggest drawback for this device. To Power it up, it is equipped with 1800 mAh of battery. 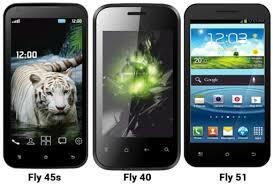 The Price of FLy F51 is Rs 7,990. Third but not the least is Fly F8S tablet which the company claims offered with nice features and specifications. The Price of Fly F8s is Rs 13,499. As the name suggest, Fly F8s features 8 inch, 10 point multi-touch display with 1024 x 768 pixels resolution. The device measures 9.6 mm in thickness. Dealing with it’s Platform dependency, this device sails on Android 4.1 Jelly Bean operating system powered with a dual core processor clocked at 1.2GHz. In terms of Storage specifications, it supports 2.5GB of internal memory which can be easily expandable up to 32 GB via micro SD card slot. Briefing it’s Photography specifications, Fly F8s is equipped with 3.2 MEGAPIXEL of primary camera and a front facing camera rated at 2MEGAPIXEL for video calling. Enumerating it’s connectivity front, it supports 3G, Wi-Fi 802.11 b/g/n ,Bluetooth, GPS. 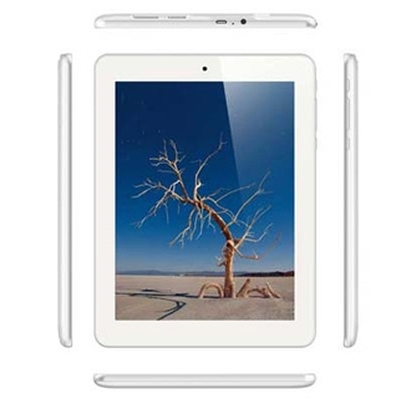 To make the life going on for this tablet, it is equipped with 4000mAh of battery. It also comes with some pre-installed applications like YouTube, Facebook, GoogleMaps and many more. All these device are available for sale on all the leading retailers across the nation.